TJ Rackley has been a Strange Music fan from the young age of 11. The Texas native has seen a lot of strife in his 17 years. When TJ was in elementary school, his mother started having seizures. They found out she was suffering from epilepsy. TJ’s mother not only struggled with epilepsy, she began to have horrible stomach pains. The doctors said that she had ulcers amongst other problems and scheduled her for surgery. After that, things went from bad to worse. TJ’s parents, their relationship already strained, ended up getting divorced. TJ found himself living with his grandparents. His mother went to rehab. TJ found solace in Strange. 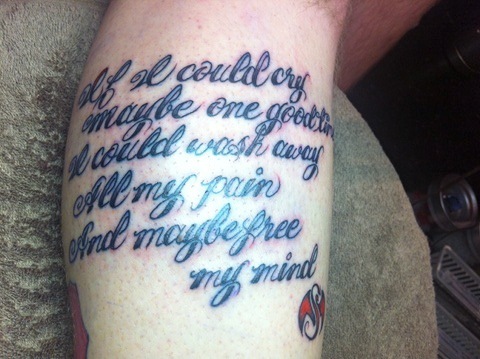 TJ has made it to four shows and has the lyrics to “One Good Time” tattooed on his leg. He plans on dedicating that same leg to nothing but Strange Music tattoos. 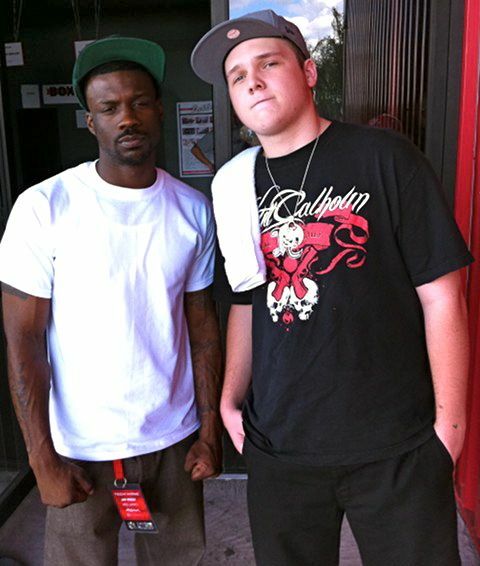 He lists Kutt Calhoun and Tech as his favorite artists, closely followed by Jay Rock and Brotha Lynch Hung. “Hey Hey Hey”, “One Good Time” and ‘The Last Sad Song‘ make his daily play list as well as “All By My Lonely” and “Calling My Name”. TJ has such a love for hip-hop that he is about to start recording and produce his own music. His inspirations? Strange Music and also the artist Flawless Real Talk. His aspirations? To eventually work with Strange Music. TJ is also busying himself with going back to school to get his GED. He has a two-month-old daughter, who has brought not only joy but responsibility to his life. The mother of his child has also been a key component for TJ piecing his life back together, as well as his sister, who is currently in school to become a pastor. When asked what advice he would give to folks who are going through hard times, TJ lays it down proper. TJ would like to give shout outs to his mother and his friends Brandon Perez and Dalton Anderson. What did you think of TJ’s story?